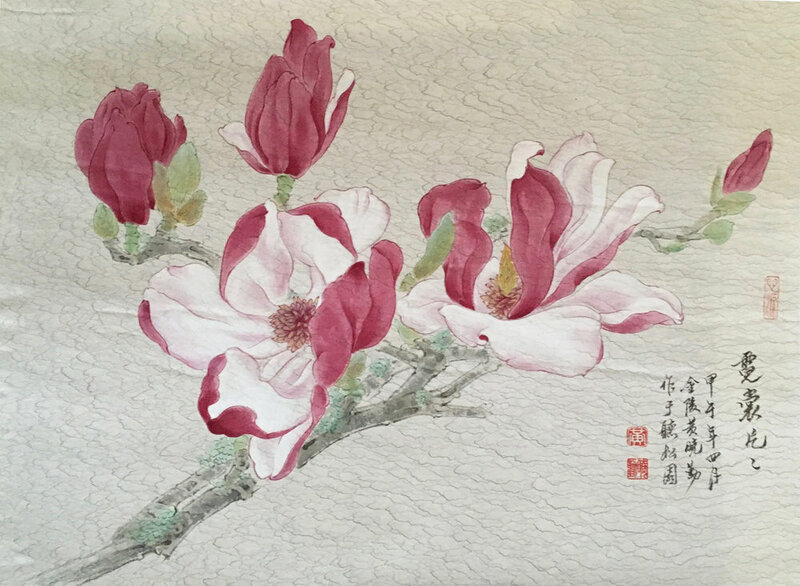 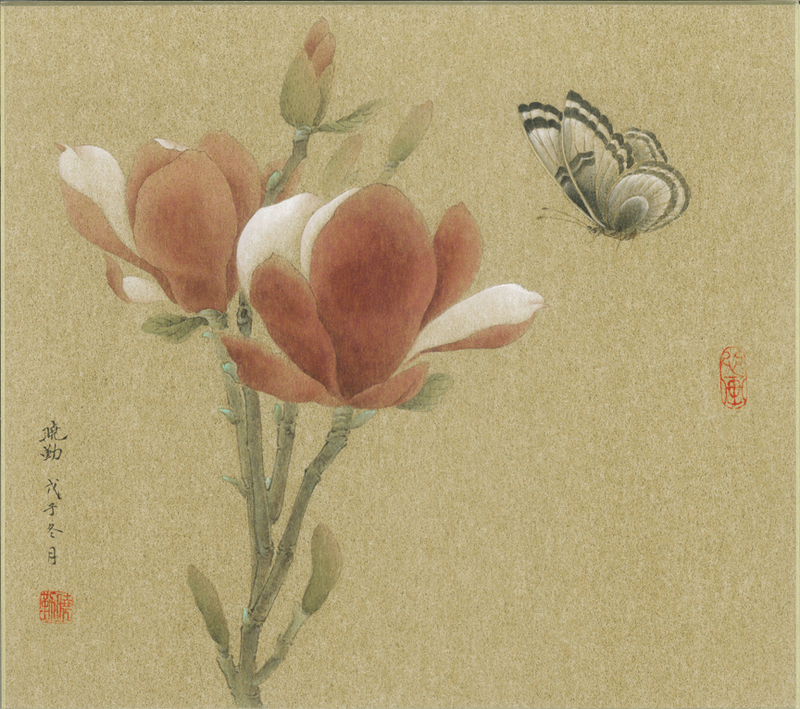 Ink and color on rice paper; painted from life, San Francisco Botanical Garden, 2004; W:25.5" H:17"; in private collection. 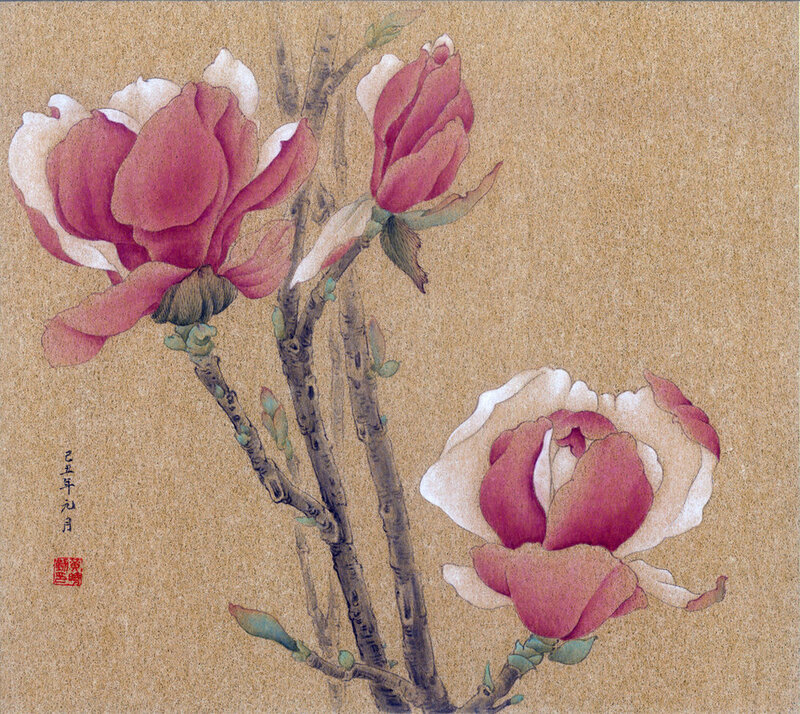 Print with double ivory mat; original artwork in ink and color on gold Japanese board, 2008; W:20" H:16" (print alone W:10.5" H 9.5"); original artwork in artist's collection. 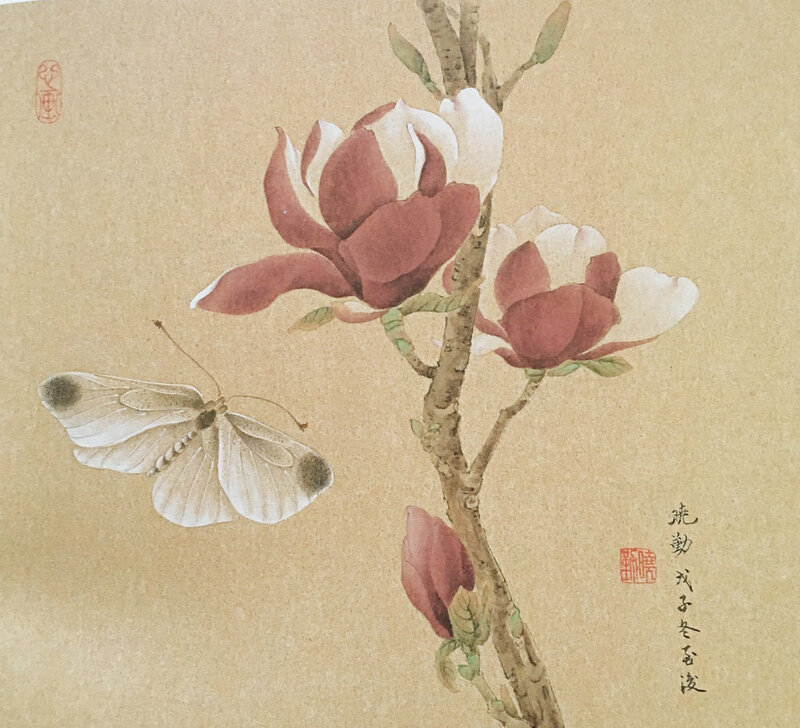 Print with double ivory mat; original artwork in ink and color on gold Japanese board, painted from life, San Francisco Botanical Garden, 2009; W:16" H:14.75 (print alone W:10.5" H:9.5"); original artwork in artist’s collection.